It’s not just at Kew Gardens! 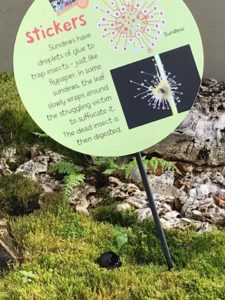 These photos were taken at the Royal Botanic Gardens, Kew and show a fantastic display of sphagnum mosses and sundew, which is an insect digesting plant. 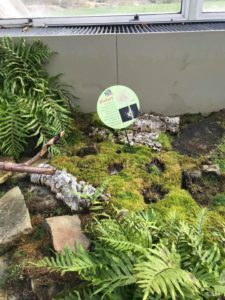 The displays on show at the gardens illustrate the great importance of these plants to the environment. Kew Gardens is a botanical garden in southwest London that houses the “largest and most diverse botanical and mycological collections in the world”. Founded in 1840, from the exotic garden at Kew Park in Middlesex, England, its living collections include more than 30,000 different kinds of plants, while the herbarium, which is one of the largest in the world, has over seven million preserved plant specimens. 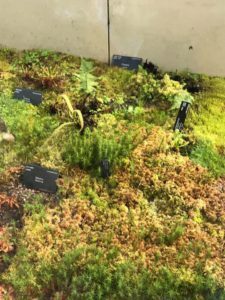 HOWEVER, If you don’t fancy a trip to London don’t worry, just take a trip to the North York Moors as these important peat forming plants can be found throughout the area and not just on the Blanket Bog but also the areas classed as dry heath. A long term project that is being carried out on a National Nature Reserve (NNR), Moor House, is finding that controlled muir burning on a shorter rotation increases the presence of these important plant species. These plants are protected by law, so look out for them but please don’t remove them. Heather moorland is rare on a worldwide scale and there is less heather moorland in the world than there is tropical rainforest. Around 70% of the world’s heather moorland is here in the UK and luckily for us the largest continuous expanse of moorland in England and Wales is here in the North York Moors.